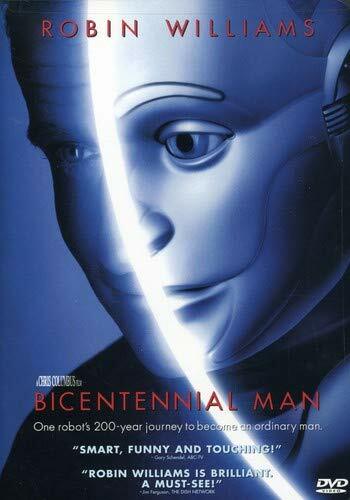 In this collection I'll gather the movies with cyborgs, androids and robots. But there are certain conditions for a movie to be included. The cyborg/android must be one the movie's main heroes (e.g. like in "Robocop") or one of the main bad guys (e.g. like in "The Terminator"). In other words, he/she/it must be something more than a clever plot twist (e.g. like in "Alien") or a secondary character (e.g. like in "Star Trek"). In the case of robots, they must be killer machines on the hunt for humans (e.g. like in "Hardware") for the movie to be included here. There will be some exceptions though. Cyborgs and androids are often confused (also in movies - e.g. 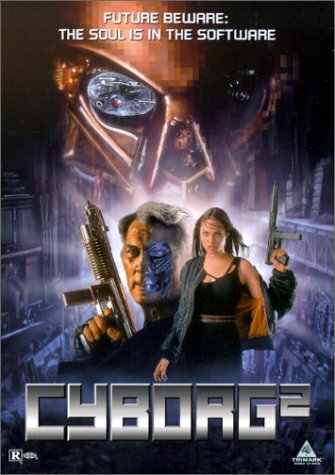 all of Albert Pyun's "cyborg movies" are in fact "android movies"). Cyborgs are living organisms with cybernetic parts, while androids are robots made to resemble humans. The future leaves humanity on the brink of extinction and in the hands of androids. 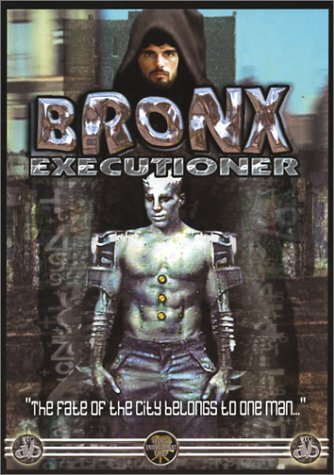 Jute (Scott Bairstow) is sent to prison after killing a robot (Chris Jericho) where he is handcuffed to an android, Deecee (Joseph Lawrence) being sent for "reprogramming" due to his overt like of humans, a characteristic his mad android creator despises. Jute and Deecee are left to fend for themselves and inadvertently each other when disaster hits during their transfer to prison. 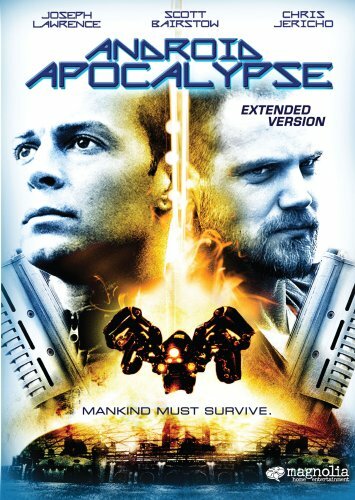 They must unite to survive and to save what's left of mankind. 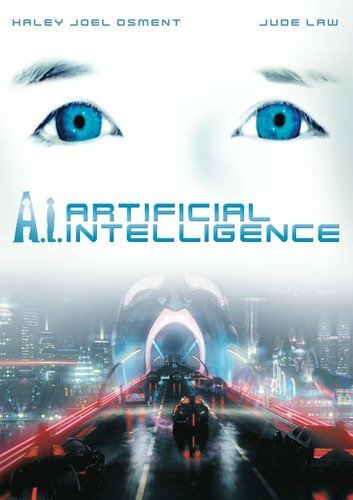 A retired agent from an Intelligence Agency is contacted by the Agency in order to stop an ultra-secret robot who is killing some government officials. That will be not an easy task, because the robot looks human and it was specifically builded to be an efficient killer, not to mention that it is almost invulnerable. 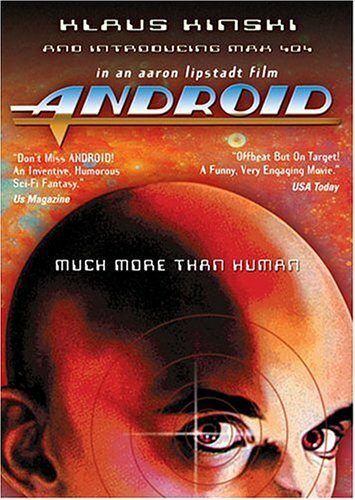 This film follows the 'life' and times of the lead character, an android (Robin Williams) who is purchased as a household robot programmed to perform menial tasks. Within a few days the Martin family realizes that they don't have an ordinary droid as Andrew begins to experience emotions and creative thought. In a story that spans two centuries, Andrew learns the intricacies of humanity while trying to stop those who created him from destroying him. In the near future, gangs of bloodthirsty androids battle with humans and mechanical replicants for control of New York City's dwindling resources. 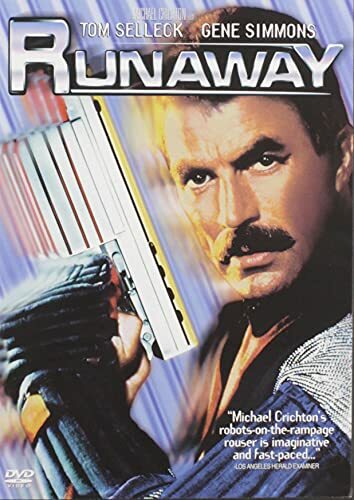 The only chance of defeating the androids and saving the city from total chaos fall into the hands of one man, the sector sheriff. But in order to win, he must join forces with a voiolently unpredictable replicant behemoth know as Darkar. It's a showdown of apocalyptic proportions! A group of teenagers that work at the mall all get together for a late night party in one of the stores. 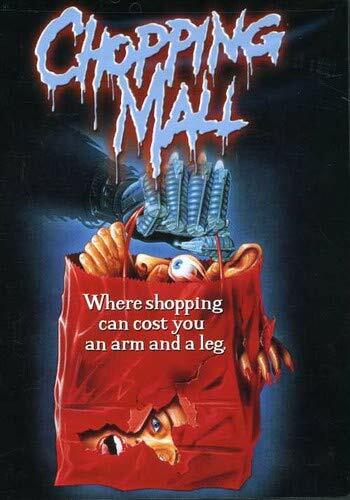 When the mall goes on lock down before they can get out, The robot security system activates after a malfunction and goes on a killing spree. One by one the three bots try to rid the mall of the "Intruders". The only weapons the kids can use are the supplies in other stores. Or...if they can make it till morning when the mall opens back up. 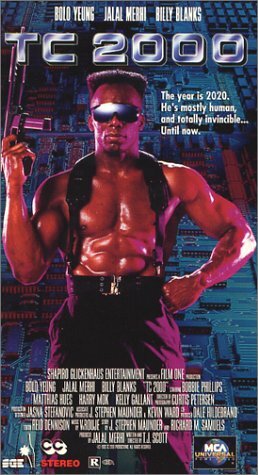 A little Universal Soldier crossed with The Terminator by way of Short Circuit; wrap your mind around that! Without a doubt this will be a very rich and rewarding experience for bad-film aficionados! Zagarino portrays the Cy Warrior! A top secret government project, the Cy Warrior is accidentally activated while being transported from somewhere important to somewhere else important. Henry Silva is Hammer, the psychopath charged with the task of bringing the C.W. back in. The problem is that he doesnâ€™t want to bring it back, he wants to destroy it! Why? Who knows, but with each passing line of dialogue spoken by Silva youâ€™ll be more and more convinced that he is suffering from turrets syndrome! Our android hero eventually finds friends that want so very much to help him in the form of Susan (the very beautiful Sherrie Rose) and her little brother Brandon. And Susan is also the romantic interest! Yep, once you go steel youâ€™ll never go realâ€¦ or somethingâ€¦ Anyway, Silva and his crack squad of robot hunting commandos manage to kill an awful lot of innocent passers-by yet can never quite zero in on big Cy. The final showdown is truthfully a lot of fun and youâ€™ll have to witness the melancholy ending for yourself to fully appreciate it! Eric is a secret agent currently working as security guard for senator Dilly. The senator is the main advocate for a new kind of police officer: the Tracker, an perfect und nearly unvulnerable android. When Eric realizes that senator Dilly is playing dirty games, he does not only have Dilly's security chief Ross after him, but also those nearly undefeatable Trackers. 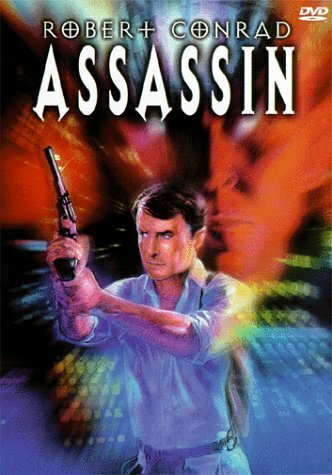 It's the future in Los Angles and Eric Phillips finds his wife the victim of an elaborate assassin operation headed by the notorious Paris Morgan. His wife is honapped and replaced by a cyborg assassin that murders the governor on national television. These cyborgs are controlled by Morgan who uses stolen technology to secretly build an army of assassins he plans to sell the highest bidder. Cyber-Assassins that look like public figures is an effective way to dust troublesome federal agents like Eric Philips (Don The Dragon Wilson). Will Eric be able to defeat the evil cyber-assassins and save the world from the jaws of death? Only his strength and honor will prevail. The year is 2010. Cyborg assassination squads trained by the military have turned outlaw and are murdering local officials. 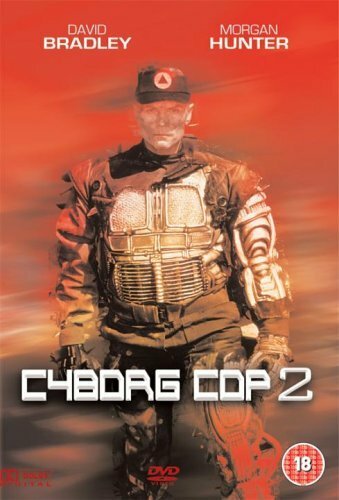 When police officer Brent McCord and his partner are framed for the murder of a Senator, they must confront the rebel cyborgs! 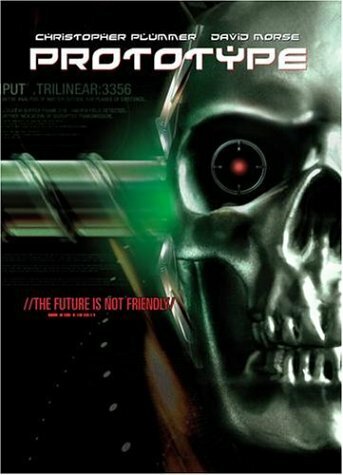 In the year 2074 the PinWheel corporation creates a 'almost-human' cyborg Casella Reese, aka. Cash designed specifically to charm/seduce her way into a rival manufacturer's headquarters and then self-detonate. Things go awry, when she starts to have feelings for a human Colson Ricks, aka. Colt 45 who works for PinWheel as a martial arts instructor. He falls for Cash as well, and with the help of Mercy, they escape. PinWheel Corp. sends Danny Bench, a 'Cyborg Tracker' after both Colt and Cash. Violence ensues. A television news reporter vanishes in this sci-fi actioner while exposing the creation of high-tech warrior androids, and it's up to a pair of rule-defying federal agents to find her and avert a worldwide crisis. Typical Philip Roth film, featuring familiar Robots and sets, but rather more enjoyable than previous efforts. An out-of-control robot is inadvertently set loose in a small community, and a crack squad of soldiers are sent to hunt it down. Gradually, the members of the squad begin to suspect that some of them are robots. As part of their experiments in time travel, Drs. Reeves and Takada construct a cyborg "Mandroid" with the body of a downed pilot. After the success of the initial experiments, Reeves decides to have the Mandroid scrapped. Not wishing to be taken apart, Mandroid flees with the help of Dr. Takeda, who is killed for his disobedience. Distraught by the death of his one friend, the Mandroid goes north to America in search of someone who can help him in getting revenge and stopping Dr. Reeves in whatever evil plan he intends to use his time machine for. Eve is a military robot made to look exactly like her creator. 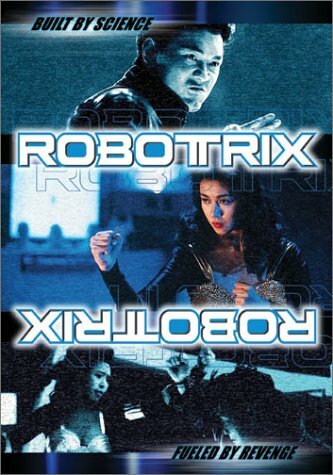 When she is damaged during a bank robbery, the robot begins to use more of the memories she has been programmed with by her creator, the dark, angry ones. She will also become a killing machine if anyone tries to stop her. 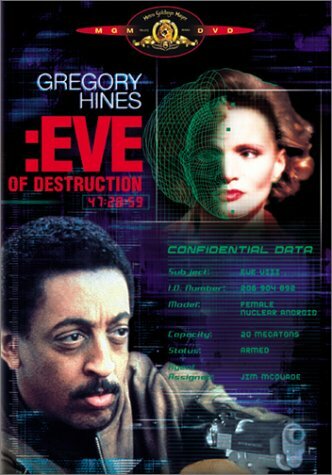 Gregory Hines is assigned to stop the robot and with the scientist who programmed her tries to think what she will do next. A wandering soldier finds a robot head in the post-apocalyptic desert. He brings it back to his girlfriend for use in one of her sculptures. He investigates the origin of the head, and discovers it's from the Mark 13 project, canceled because of unreliability. His girlfriend, nay, society at large become endangered when the robot puts itself back together using the parts she has for her sculptures. Last edited by Malignus on Tue Apr 24, 2007 4:48 pm, edited 39 times in total. It's the future! The earth has been transformed into a vast wasteland. Rebel cyborgs have started using human blood as a new source of fuel. Now a young hero must team up with an android to wage war against the artificial life forms and save humanity. Set in the future, a group of terrorists with an android leader storm a hospital when the President's daughter is inside, taking her hostage. To find a way of freeing her, the police decide to consult the architect who designed the building, but he's currently in jail for some crime, and the punishment of the future is to be frozen solid for one's sentence. The cops accidentally thaw out the wrong guy, a football player who decides to keep the mistake a secret and help the police in exchange for his freedom. Will he be able to defeat the terrorists and rescue the hostages, despite not knowing the first thing about architecture? 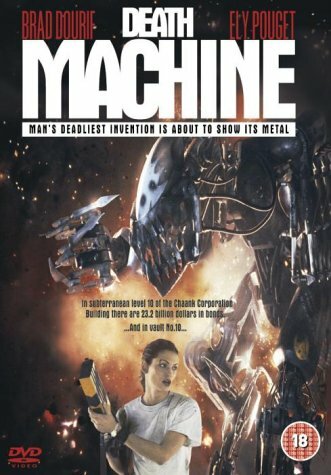 In a post-apocolyptic Los Angeles, a wheelchair bound veteren volunteers for an experimental cybergenic program that wil allow him to walk again only to find that it turns him into a lethal killing machine pre-programmed to kill the last remaining member of the resestance - the woman he loves. In the aftermath of economic and moral collapse, the city of Detroit has become a cesspool of crime and anarchy, forcing the underfunded police to fall under the stewardship of corporate juggernaut OCP. 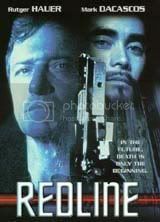 In his first day patrolling Old Detroit, Officer Alex Murphy is killed by feared gang leader Clarence Boddicker. OCP scientists are able to use Murphy's remains to build a cybernetic soldier codenamed Robocop. 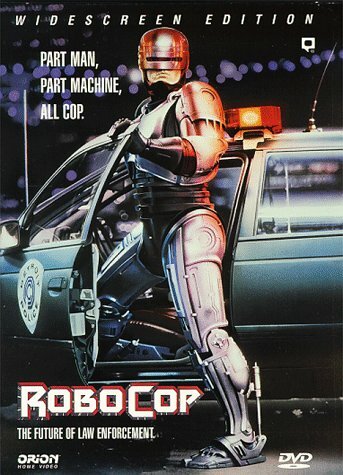 Dubbed the future of law enforcement, Robocop begins a one-man war on crime. 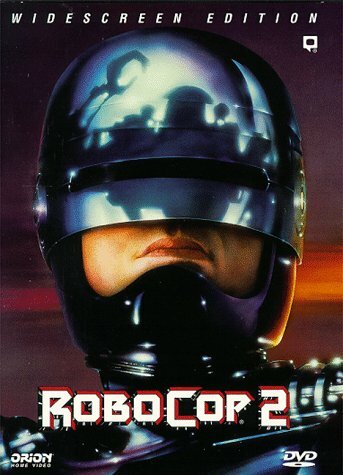 When memories of his former life begin to surface, Robocop becomes obsessed with tracking down Boddicker and claiming revenge, even as his handlers try to rein him in. Murphy the Cyborg Cop, is back on the streets. OCP, his manufacturer is unable to replicate the process to make more of him due to a series of suicides by their subjects. They decide to try a drug adict as a base for their next, stronger, bigger cyborg. Murphy meanwhile is rebuilt and they decide to add to his programming which has both funny and tragic results. 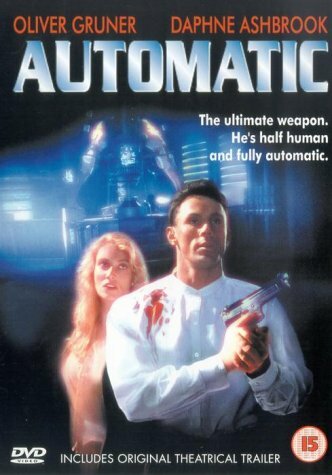 Absolutely crazed science fiction action adventure insanity that is essentially Bruno Matteiâ€™s version of Predator with a homicidal robot named Omega-1 replacing that other alien creature as the antagonist. Itâ€™s 80â€™s Mattei! You know what youâ€™re getting! Thereâ€™s violence, action, and laser beams! We just donâ€™t think there is much else that can be said! This is definitely must-see entertainment for fans of Bruno Mattei, as well as for those who crave some light entertainment they can have fun with. A police officer specializes in runaway robots in the near future. 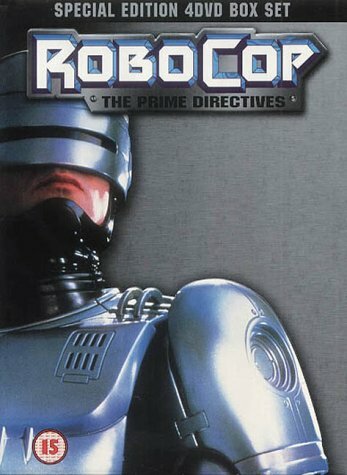 When a robot becomes homicidal, he begins to unravel a mastermind's plot to create killer robot weapons, and then the policeman becomes a target himself. Itâ€™s the future, and Venice has become a toxic tomb. A specialized military unit is sent into the underground tunnels of the city on a mission called Operation Delta Venice to find any survivors. Any remaining people must be rescued and evacuated before falling victim to the poisons in the air, or the vicious monsters that now run rampant beneath the city. Most of the movie is a direct steal of Aliens (and Terminator towards the end), so donâ€™t expect to see this getting a release anytime soon. 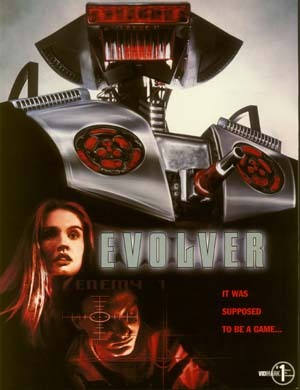 In the year 2029, a computer called Skynet is fighting against a human resistance, after having nearly destroyed the rest of humanity in 1997. Skynet has found a way to send some of it's warriors, called Terminators, back in time. This is the story of the Terminator sent to kill the resistance leader's mother in 1984, before she gives birth. 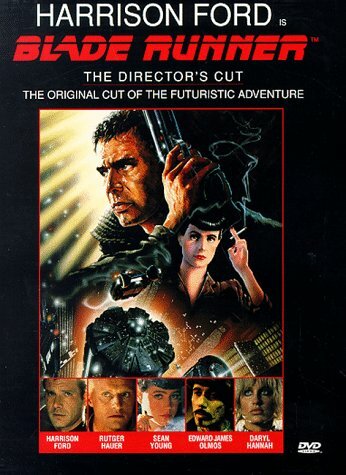 The resistance sends a warrior named Kyle Reese back to 1984 to protect the young woman. The question is, can Sarah Connor survive long enough to have her child so that history remains on track? It has been ten long years since a Terminator failed to kill Sarah Connor and her unborn son, John. Now, Skynet has sent back another Terminator. This one being more advanced than the last one. John Connor, who is now ten years old, is the target. The future John sends back a replica of the Terminator that tried to kill him back in time to 1995. It's Terminator vs. Terminator. On the verge of Judgement Day, the most advanced Terminator unit ever, the T-X, arrives from the future to ensure the rise of the machines. 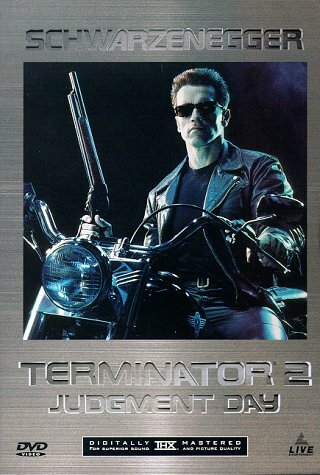 The only hope against it is a new upgraded T-800 unit, the T-850, that is sent back by the human resistance. 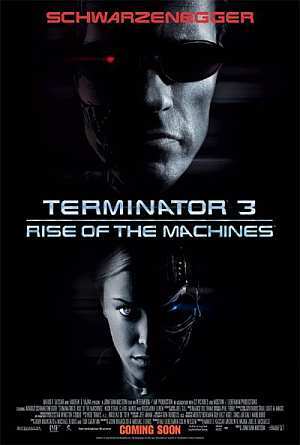 Together with John Connor, it must stop the rise of the machines or all humanity will fall. Last edited by Malignus on Sat Apr 21, 2007 1:56 pm, edited 21 times in total. 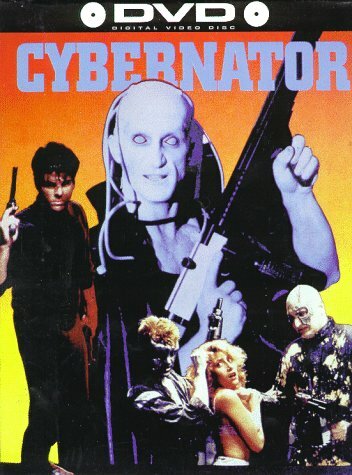 A.P.E.X., Alienator, American Cyborg, Android, Atomic Cyborg, Chopping Mall, Class of 1999, Class of 1999 II, Cyber Tracker, Cyborg, Cyborg 2, Cyborg 3, Cyborg Cop, Death Machine, Eliminators, Exterminator City, Halloween III, Knights, Nemesis, Omega Doom, Project Shadowchaser, Project Shadowchaser II, Project Shadowchaser III, Project Shadowchaser IV, Redline, Robo Vampire, Robot Holocaust, Robotrix, Robowar, Runaway, Shocking Dark, The Vindicator. Last edited by Malignus on Tue Apr 24, 2007 4:50 pm, edited 15 times in total. How about the "Ghost in the Shell" movies ? Nice collection again. Thanks, Malignus. hagbard wrote: How about the "Ghost in the Shell" movies ? Nice forums,nice tread i first saw this tread and then i joined the forums cheers! Last edited by Malignus on Fri Apr 27, 2007 6:32 pm, edited 6 times in total. Could you re-share 'Knights' and 'Heatseeker' again? I would very appreciate it. There's too less sources I know some ppl say those movies are crap, but I remember them watching as I was a kid. Maybe I will dl all your collection as it's great. 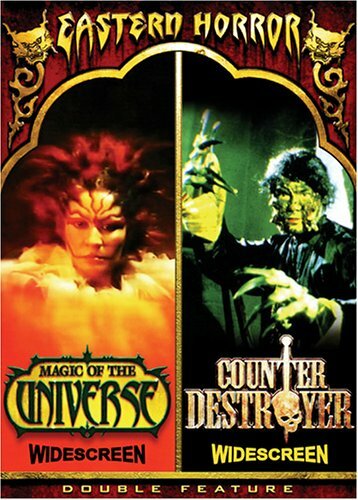 Amazon: This volume of the Eastern Horror series presents a double feature of Asian flicks blending horror and martial arts. 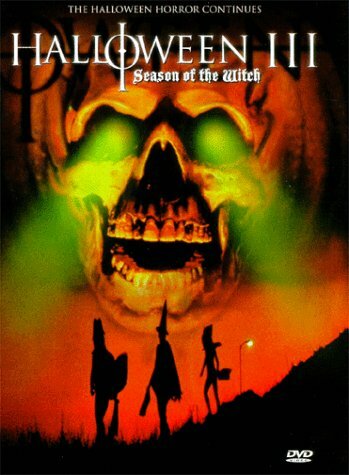 In the Filipino film MAGIC OF THE UNIVERSE (1988), a circus magician journeys through a nightmarish netherworld in order to rescue his kidnapped daughter from the clutches of supernatural forces angry over his dabbling in the magical arts. And in the Hong Kong film COUNTER DESTROYER (1989), a screenwriter working on a film script in an old haunted house unleashes an army of the undead, including a robot-vampire and a Freddy Kruger-like creature with deadly scissorhands. Thank you for your fantastic efforts with this list and the post Apocalyptic List! Last edited by andrewz on Sat Sep 22, 2018 5:18 am, edited 3 times in total.